Back in May, the Canadian Church Press and the Association of Roman Catholic Communicators of Canada held a joint conference together in Winnipeg. Among other things, the conference featured a number of workshops. One of these was a panel discussion on “The Francis Effect,” at which I was one of the panelists, bringing a Protestant perspective. Joining me were Joe Sinasac, Publishing Director of Novalis Publishing, and Marlena Loughheed, Public Relations and Communications Director of the Roman Catholic Church’s Archdiocese of Toronto. Laura Kalmar, editor of The Mennonite Herald, served as moderator. “Warm, gentle, spiritual.” These are words that have come to define Pope Francis’ public interactions. And it is this mixture of gentleness and faith that has garnered him such public admiration, I think. In other words, it is his pastoral tone that has brought him praise. He genuinely seems to care for people, for all people—and it’s hard not to like someone you suspect likes you first. That’s what Evangelicals in Argentina came to understand, as Palau explains. And they weren’t the only ones. News of Francis’ election brought praise from both branches of Lutheranism in Argentina: the church associated with the more theologically conservative International Lutheran Council and the church associated with the more theologically progressive Lutheran World Federation. Both hailed his elevation. This is a man that all people seem to respect. The same things which brought him respect in Argentina have brought him respect in wider Christendom—including among Canadian Christians. Along with the rest of the world, we have come to appreciate the Pope’s humility, his care for the forgotten, his—as I’ve said before—pastoral tone. Francis suggests that one cannot merely pontificate, if I may use the word, on moral issues; instead, he says, we need to make the Gospel central. Morality is important, yes, but it is not the central tenet of the Christian faith. Mercy is. 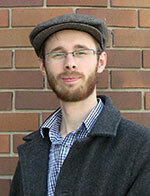 Some Canadian Christians have found in Francis’ manner of addressing the world a template for their own reinvention. Christians in the West are used to enjoying a position of respect in society: we’re used to having a platform to speak authoritatively into the lives of others. But that position has been eroding for a long time. Now when we try to speak authoritatively on moral issues, we find ourselves coming up against a wall. It is in this context that Francis’ words in an interview published by America in September 2013 become clear. He warns that the Church must first focus on mercy, and not diminish Christianity to mere moralism. That’s not to say that he thinks morality is unimportant; it is. But you deal with first things first. In caring for the wounded, he says, you deal with the wounds first; and you leave the issue of high cholesterol till the patient has stabilized. This way of approaching the world—pastorally, rather than by issuing moral decrees—is necessary in a society where Christianity has lost its traditional place of authority. Before we can tell people how to live, we must first earn their trust—we must first prove to them that we care about them, and that we have their best interests at heart. This way of communicating with the outside world is something Canadian Christians will, I hope, continue to learn from Pope Francis. * But Francis isn’t just a model for emulation. He also serves as the de facto face of Christianity in the world, including, I think, Canada. There is name-recognition when it comes to the Pope in a way that there isn’t for the leaders of other denominations. People know who he is. It matters therefore vitally what the secular world thinks of him. If people have a positive impression of him, then it makes Christians’ work in sharing the Gospel all the easier—regardless of denomination. But if the secular world dislikes the Pope, people become more resistant to the Christian message in general—whether it’s being shared by Orthodox, Protestants, or Catholics. If the secular world dislikes the Pope, people become more resistant to the Christian message in general—whether it’s being shared by Orthodox, Protestants, or Catholics. As it happens, Pope Francis is still enjoying remarkable popularity. And while studies from Pew Forum and others haven’t seen an increase in church attendance due to the Francis Effect, there is a measurable increase in people who hold positive opinions of the pontiff. That leaves them open to what he might say. But that’s the question: what might he say? Francis engages the media in a very different way than his predecessors did; he’s spontaneous. Unscripted. And while that has given a sense of genuineness to his pastoral tone, it’s also left him open to misunderstanding. 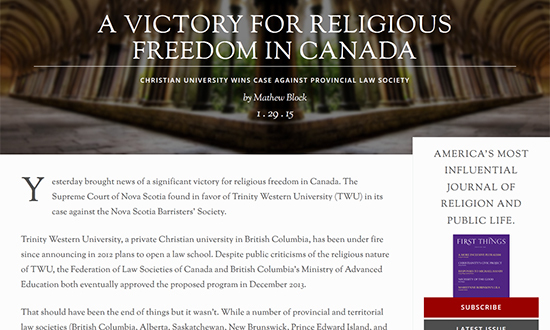 Those expressions that have garnered some of the most media coverage—“Who am I to judge?,” being the classic example—have divided Canadian Christians of other traditions. Progressives have embraced this as evidence that Francis is going to make changes to Catholic teaching on issues like human sexuality, contraception, female ordination, and the like. 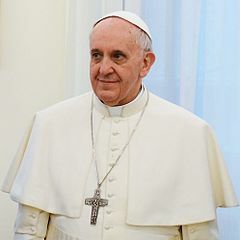 Some conservative Christians have expressed concern that maybe he is withdrawing from traditional Catholic stances on these subjects. But I think it’s more correct to say that Francis has been misunderstood in these areas. He’s certainly relegated some hot-button issues to a less prominent place; but he hasn’t abandoned Catholic teaching on them. I think the fact that the Pope can’t be put in these narrow political boxes of “conservative” or “liberal” are part of his appeal at current, both to the secular realm and to Christians of other traditions. But I’m not certain how long this popular approval can last. I suspect as people become more aware that Francis is, as he says, a loyal son of the church, his approval ratings will drop. Canadian Christians need to be aware therefore that this mini-renaissance of public approval for the church probably isn’t going to last. His words in a December 2013 interview were truly inspiring. When asked whether ecumenism was important to him, he was clear: “Yes,” he said, “for me ecumenism is a priority. Today there is an ecumenism of blood. In some countries they kill Christians for wearing a cross or having a Bible and before they kill them they do not ask them whether they are Anglican, Lutheran, Catholic or Orthodox. Their blood is mixed. To those who kill we are Christians. We are united in blood, even though we have not yet managed to take necessary steps towards unity between us and perhaps the time has not yet come. Unity is a gift that we need to ask for.” Those are words that most Christians, Protestant or otherwise, can appreciate and respect. That final message—the idea that, to those outside the Church, we are all simply “Christians,” is an important one. It’s true of course to those who are literal enemies of the Church—those who wish to kill Christians. But it’s also true of those who are merely in the secular realm: to these people, unaffiliated with the faith, Christians are all simply Christians. And for many of these people, the Pope is the de facto face of Christianity. (Image: Creative Commons Attribution-Share Alike 2.0. Attribution: presidencia.gov.ar, via WikiCommons). Captain Thin is powered by	WordPress 5.0.4 and delivered to you in 0.486 seconds using 43 queries.